Since 1978 HSI companies have partnered with more than 16,000 approved training centers and have authorized more than 200,000 professional safety and health educators, who have certified more than 19 million emergency care providers in the US and more than 100 countries throughout the world. HSI’s vision is to be the preferred training resource for safety and health training centers. MultiMed is proud to be part of the ASHI team and is an approved ASHI training center serving Alaskans since 2010. ASHI Basic First Aid for the Community & Workplace program is designed for individuals in the community that require or desire a basic knowledge and first aid skills. This extremely flexible program will help employers meet OSHA and other federal and state regulatory requirements for training employees how to respond and care for medical emergencies at work. Individuals who require or desire elementary first aid knowledge and skills with a focus on adults, children, or both; including: Emergency response teams in business and industry, School bus drivers, Adult residential care personnel, Child care workers, Teachers, Parents, Babysitters. This course is approximately 5 hours in length. This training combines the ASHI Basic First Aid and the ASHI CPR and AED together into one program. It is designed for individuals in the community that require or desire a basic knowledge and first aid, CPR and AED skills. This extremely flexible program will help employers meet OSHA and other federal and state regulatory requirements for training employees how to respond and care for medical emergencies at work. Individuals who require or desire elementary first aid knowledge and skills with a focus on adults, children, or both; including: Emergency response teams in business and industry, School bus drivers, Adult residential care personnel, Child care workers, Teachers, Parents, Babysitters. This program is not intended for persons in the healthcare field. This course is approximately 8 hours in length. Wilderness environments create special situations not usually encountered in an urban or suburban environment. With ASHI’s Wilderness First Aid, Instructors certified to teach CPR/AED, basic first aid, and have wilderness experience can take advantage of ASHI’s flexible instructional design. Course content includes: Preparation and Assessment, Preventing and Caring for Injuries, Environmental Hazards, Biological Hazards, Medical Emergencies. This comprehensive 16-20 hour course meets the Boy Scouts of America Wilderness First Aid curriculum and guidelines. This extremely flexible program will help employers meet OSHA and other federal and state regulatory requirements for training employees how to respond and care for medical emergencies at work. It is designed for individuals in the workplace and community that require or desire basic CPR and AED skills. This program is not intended for persons in the healthcare field. This course is approximately 5 hours in length. Students learn how to recognize a life-threatening emergency. ASHI”s CPR PRO has been approved for training for Emergency Medical Services personnel and is accepted by the National Registry of Emergency Medical Technicians (NREMT). It is designed for individuals in the healthcare of professional rescuer field that are required to have a professional-level basic life support training. is designed to teach the skills of CPR for victims of all ages (including ventilations with a barrier device, a bag-mask device), use of an automated external defibrillator (AED), and relief of foreign-body airway obstruction (FBAO). The course is also designed for anyone who is required to take a healthcare provider course for employment. This course is approximately 7 hours in length. American Safety & Health Institute’s Advanced Cardiac Life Support,(ACLS) program was created to train emergency personnel to recognize cardiopulmonary emergencies (including cardiac arrest and peri-arrest conditions) and other medical conditions that require rapid initial emergency care. Program covers the initial actions of an emergency response team, evaluating airway management, dysrhythmia recognition, electrical interventions, and pharmacologic interventions. This course is Intended for Emergency personnel in intensive care or critical care departments and emergency medical providers such as Advanced EMT’s, Paramedics, Physician Assistants, Nurses and Doctors. This course is 15 hours in length. The certification is good for two years. Training and/or education in basic cardiac rhythm analysis (ECG interpretation) and cardiovascular pharmacology. Professional-level Basic Life Support (BLS/CPR/AED) required or included in ACLS course. American Safety & Health Institute’s Pediatric Advanced Life Support (PALS) program was created to provide healthcare professionals with training in the recognition and treatment of conditions that may lead to cardiopulmonary arrest in an infant or child. This course is Intended for Emergency personnel in intensive care or critical care departments and emergency medical providers such as Advanced EMT’s, Paramedics, Physician Assistants, Nurses and Doctors. Initial training course is 13 hours in length. Refresher course is 6 hours in length. The certification is good for two years. The Child and Babysitting Safety program is a community education program that covers child safety and basic care techniques for infants and children. CABS stresses the priority to keep you and the children you care for safe. Babysitting is not just “watching” the children, but being responsible for their safety and well being. When you are caring for a child, you are taking care of a parent(s) most prized possession. Everything in their home and your own home can be replaced— everything, that is, except a child. The course is geared towards adolescents, not intended for daycare workers. The course is approximately 6-8 hours in length. The Wilderness Emergency Care (WEC) program supports a family of courses to meet the needs of everyone with outdoor interests, from easy day trips to challenging and technical activities, including wilderness rescue. The WEC textbook not only explains the concepts in clear language, it also shows you how to do all the skills, step by step, with many photos and drawings. The WEC Instructor Guide provides course outlines and lesson plans for all the wilderness courses and explains how to plan, prepare for, teach and evaluate a course. It also has a great collection of resources – including quizzes, scenarios for practical exams and evaluation forms. The ASHI First Responder Course teaches the basics of emergency medical care including patient assessment, splinting, hemorrhage control, oxygen therapy, suction, CPR and use of automated external defibrillators (AEDs). Responders may assist with the administration of the patient’s own epinephrine auto injector, nitroglycerin, or hand held bronchodilator inhaler. 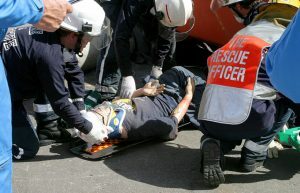 Responders are taught to recognize and treat symptoms of heart attack, stroke, poison, overdose, hypothermia and cold related injuries as well as treatment for burns and a variety of other medical conditions. This course is approximately 40 hours in length. American Safety & Health Institutes Blood borne Pathogens awareness program includes information that will help students understand what blood borne pathogens are and how risks of exposure can be reduced for themselves and others. This program is intended for compliance with OSHA’s 29 CFR 1910.151, the “Access to Medical Care” standard as well as 29 CFR 1910.1030, the “Blood borne Pathogens” standard. It is a common occupational package for general industry and construction. The course teaches the importance of protecting themselves against blood borne pathogens such as those found in AIDS and hepatitis. Any employee who has a reasonable anticipation of contact with blood or other potentially infectious materials as a result of performing designated job duties, including but not limited to: Healthcare workers, Public safety personnel, Housekeeping and custodial workers, Educational and correctional workers. This course is designated first aid providers. This course is approximately 2 hours in length. The Emergency Oxygen administration program is a critical step in treating a severe or life-threatening illness or injury. Serious and life-threatening medical emergencies often cause oxygen to be depleted in the body leaving the victim at risk for cardiac arrest or brain damage. This program focuses on administering emergency oxygen, rescue breathing and oxygen delivery devices. It is designed for Community and workplace lay rescuers. This course is approximately 3 hours in length. Emergency Medical Response for Adults in the Workplace is a combined CPR, AED, and basic first aid training program designed specifically to arm laypersons with the minimum knowledge and skills necessary to provide emergency care for suddenly ill or injured adults during the usually brief interval between the incident and arrival of emergency medical care professionals. Expanded information on blood borne pathogens and emergency oxygen administration is included to enhance knowledge and understanding of these two important and related emergency care topics. This course is approximately 7 ½ hours in length.